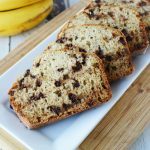 Two of my favorite flavors come together in this easy Chocolate Chip Banana Bread Recipe. 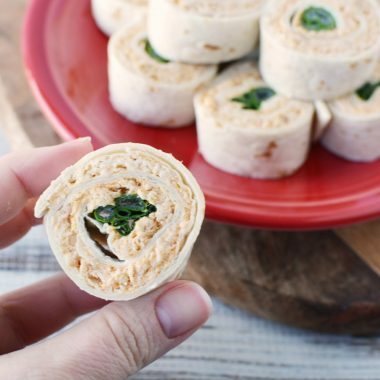 The perfect thing for dessert, breakfast or a yummy midday snack. 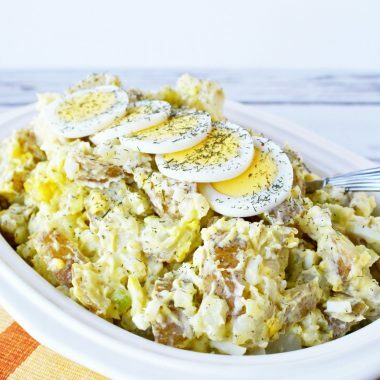 I love recipes that can serve multiple purposes. 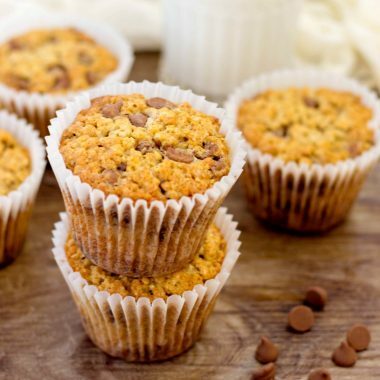 Something that can breakfast, dessert or even a midday snack is well worth making in my kitchen. This is even more true if it is something that is incredibly tasty. My husband is a chocolate chip fanatic. He loves anything that has chocolate chips in it. So, we are no strangers to all sorts of “chocolate chip” recipes in our house. We are also big fans of bananas. In fact, my husband has a banana for breakfast every morning. He also actually has a great recipe for banana chocolate chip cookies. What makes his cookies so great is that putting the ripe banana into the recipe really makes the cookies super moist. I know that this is also true for banana bread. 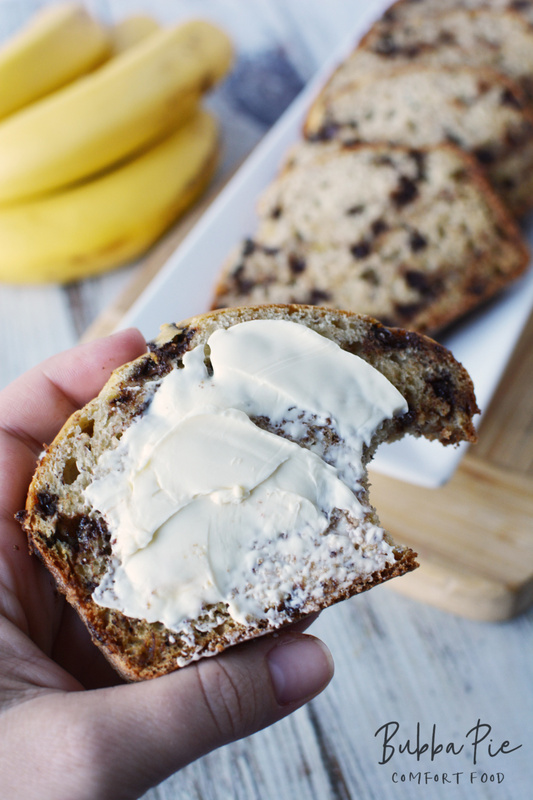 There is nothing better than a nice warm slice of banana bread with some butter on it. Oh, wait, there IS something better… Put chocolate chips in it! 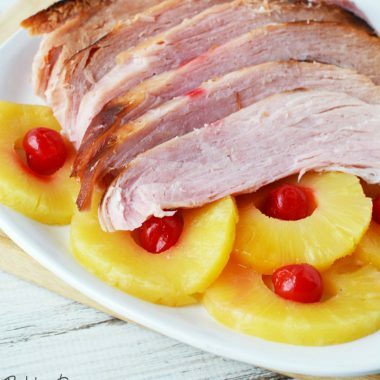 Now, we have all of our favorite flavors in one dish! While chocolate and peanut butter are often paired together (and are fantastic! ), chocolate and banana is an under-used combination. These two always work together to make great things! I think they should be used more. The key ingredients here are to make sure that you have nice, ripe bananas. This won’t work unless they are nice and ripe. 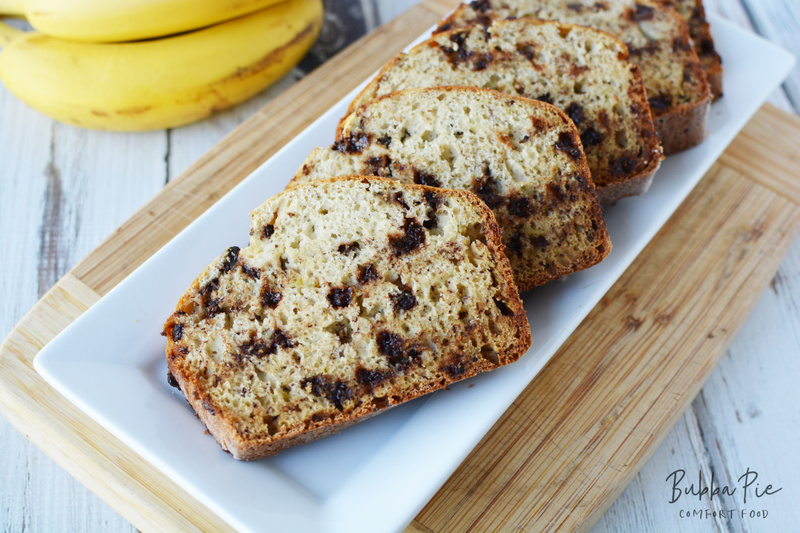 This is a quick and easy recipe for chocolate chip banana bread. Perfect to make the night before for a yummy weekend breakfast. 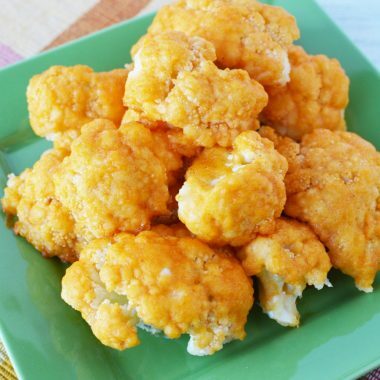 Or make it at the beginning of the week for some snacks between meals. But, really, you can make it for any reason, right? 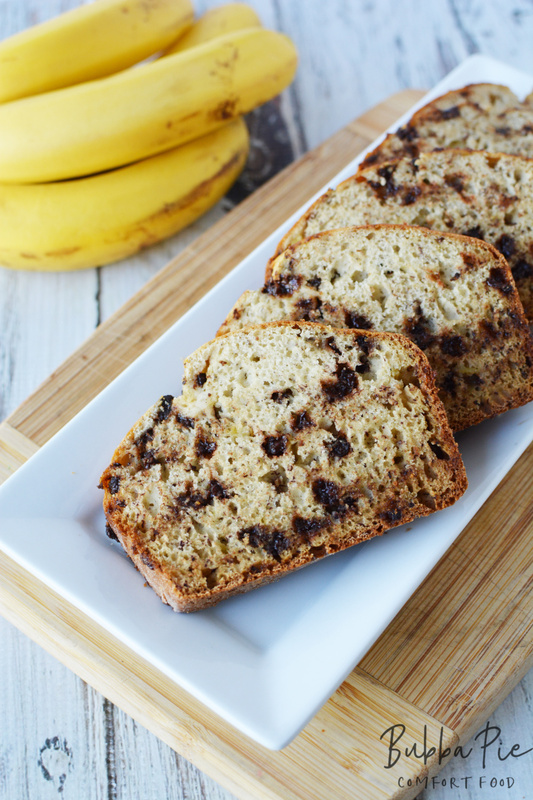 You don’t need an excuse to make chocolate chip banana bread! Enjoy! Preheat oven to 350 and grease and flour a loaf pan. Set aside. In a small bowl mix dry ingredients, flour, baking soda, baking powder and salt. Set aside. 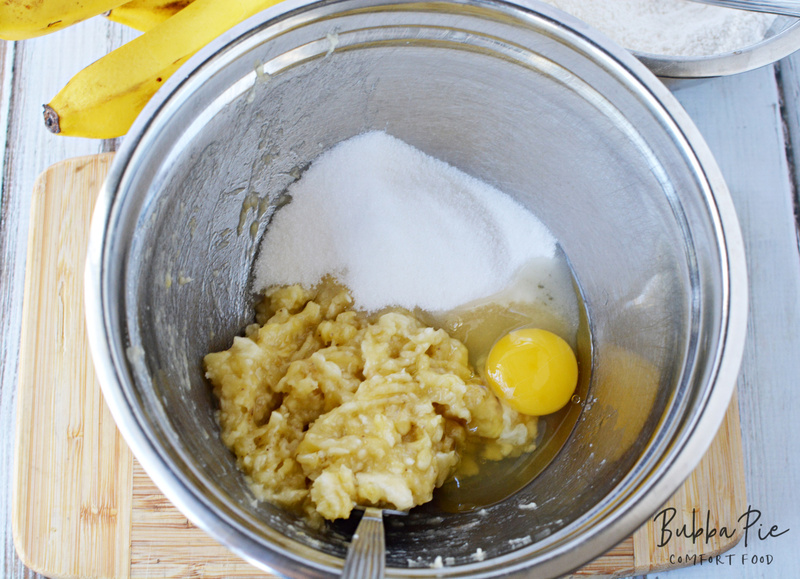 In a separate mixing bowl, add bananas, sugar, egg and vanilla and mix well. Add dry ingredients to banana mixture and mix just until combined. Fold in chocolate chips. 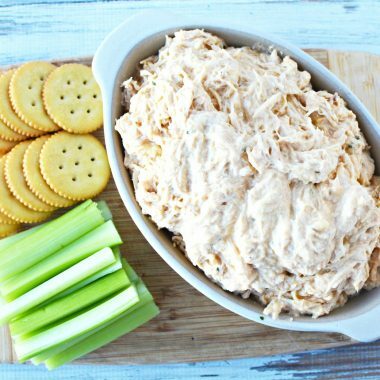 Pour batter into prepared loaf pan and bake for 35-45 minutes or until center is set. Cool completely before slicing.